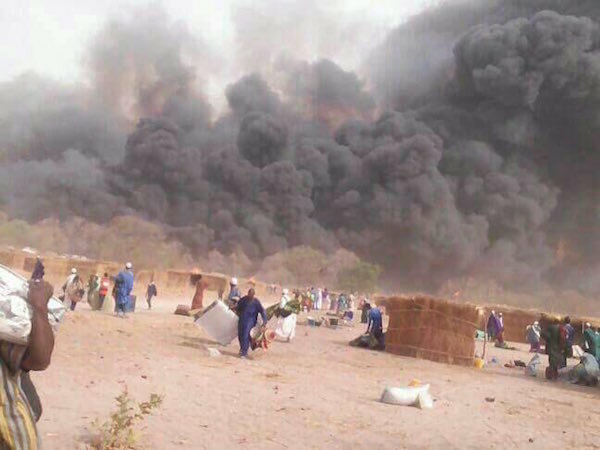 At least 22 people were burnt to ashes in a serious fire outbreak in Madina Gounass in the Tambacounda Region, Senegal. According to media reports, over 75 others are currently hospitalized at the Regional Hospital in Tambacounda. 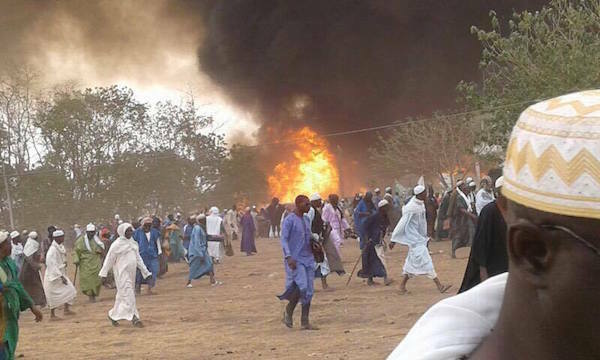 The fire outbreak occurred on Wednesday during the annual Muslim gathering locally called ‘Daaka’. The victims were part of thousands of Muslims who are currently in the Senegalese provincial town to attend the annual Muslim gathering, ‘Daaka’. However, the cause of the fire incident is not yet established. Meanwhile, the president of the Republic of Senegal, Macky Sall, who is currently on a State visit in Portugal, has on behalf of the Senegalese population, sent his condolence to the Omariene Family through the Tidianiyya Cheikh of Madina Gounass, Kalipha General Cheikh Ahmad Tidiane Ba. He also announced that he will be visiting Madina Gounass with a high powered of delegation of his government on tomorrow Friday, 14 April, 2017. Prior to the incident, the Senegalese Interior minister, Abdoulaye Daouda Diallo was already in Madina Gounass with members of the security under his purview and many other senior officials of the Senegalese government.